Your fee includes up to three chances to pass the exam. As of July 2018, a new food safety law in Ontario requires a Certified Food Handler be onsite at all times when food is being prepared or served. After taking this course you will understand what causes foodborne illness and what steps you can take to prepare food safely. 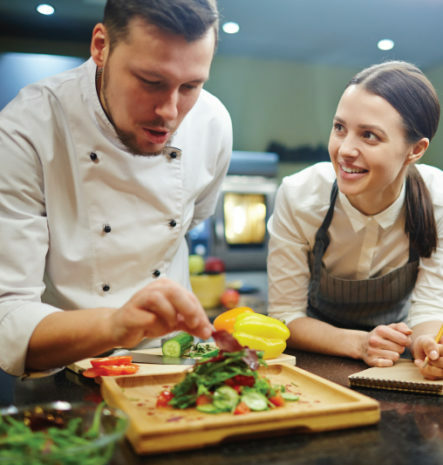 This course was developed by Public Health Inspectors from the Thunder Bay District Health Unit to give everyone living in Ontario easy access to a Ministry of Health and Long-Term Care recognized food handler certification. Learn at your own pace at a time and location that is convenient for you. Use your mobile device. Take the exam online when you are ready. Successfully training Certified Food Handlers for over 15 years. Join the thousands of Ontarians who have completed this online course and received their Ministry recognized food handler certification. In Good Hands was developed by Health Inspectors at the Thunder Bay District Health Unit. The course was easy to follow and engaging. The Mystery Challenges are an awesome feature. The course material is created in a simple way so that everyone can understand. This site was very well organized, so I could study efficiently at any time.